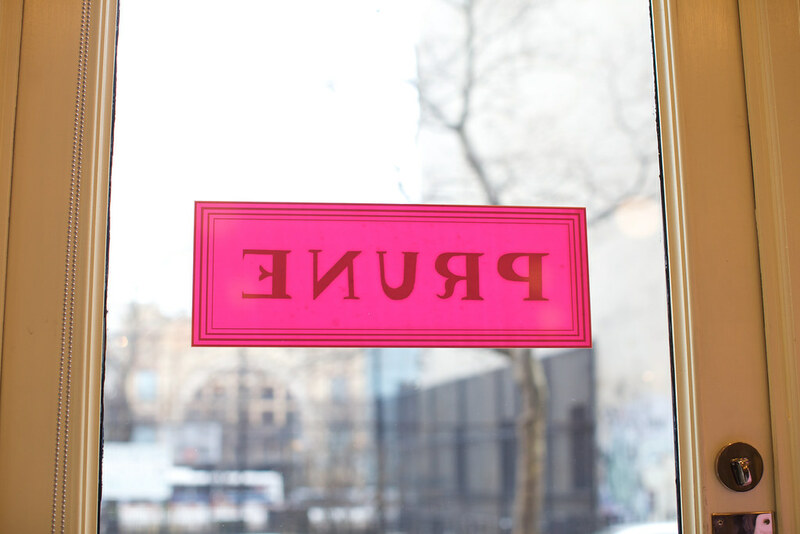 A few weeks ago, I finally finished reading Gabrielle Hamilton’s Blood, Bones and Butter – it’s a wonderful book and more than anything it made me want to go back to Prune, the chef’s amazing East Village restaurant. Unfortunately, like so many other great restaurants in New York, it’s perpetually full and nearly impossible to get into. At least it was the last time I went, years ago. Still, it lurked in my head and after seeing mention of a quieter lunch seating, I made a mental note. 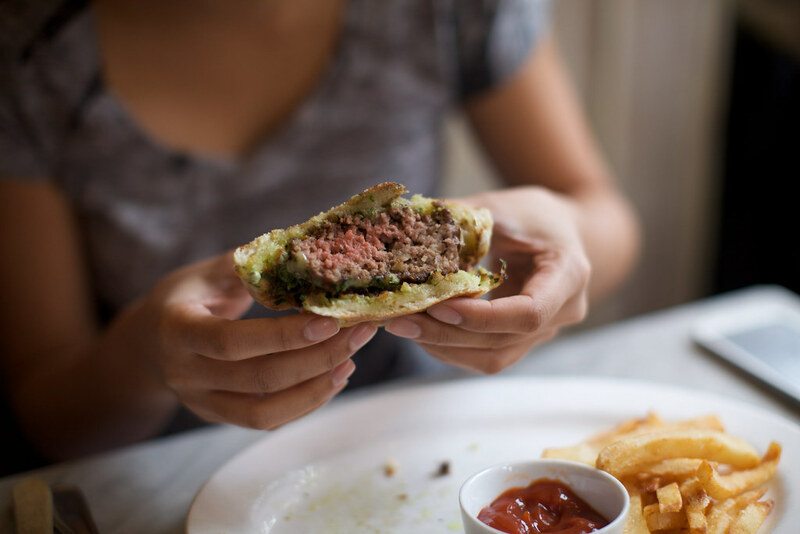 Days later, Donny tweeted a link to a post about the amazing butter burger on Prune’s lunch menu. A confluence of tweets brought friends Emily Hanhan and Jenn de la Vega out as well and the three of us headed downtown for lunch last week. 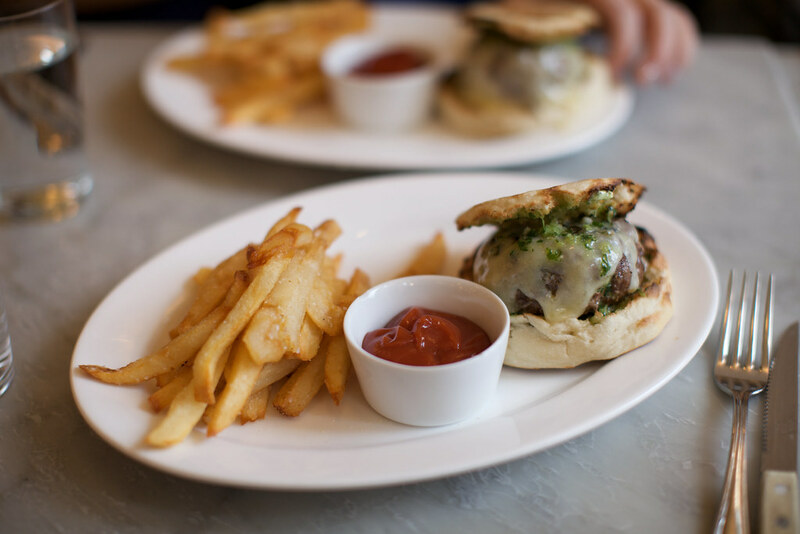 The burger is a lamb and beef blend topped with cheddar and an herby compound butter and served on an english muffin. In any other setting, the idea that three of us would order the same thing would be unthinkable, but none of us was at all interested in sharing. I know I wasn’t giving up a single bite. It was a thing of beauty. Just thinking about it makes me want to head back down for another lunch some time soon. Of course, there were a number of other delicious options on the menu, so we split one as a starter. 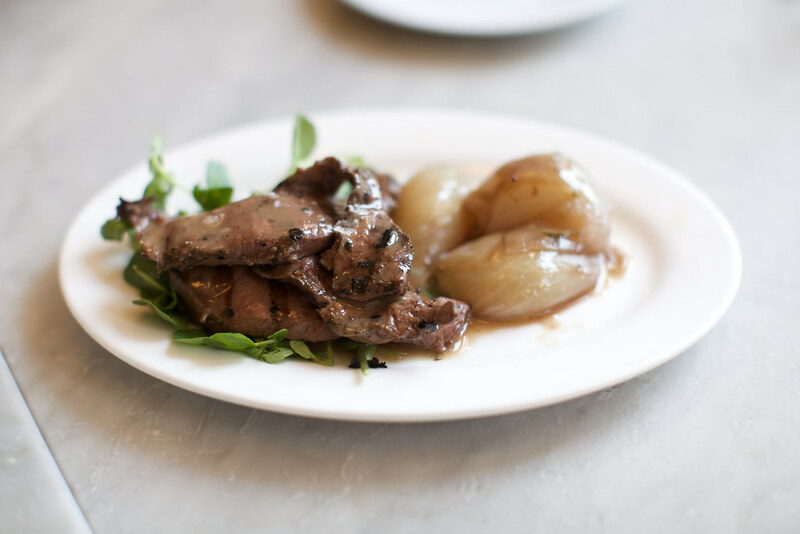 Braised beef heart and shallots. Yum.